After Oklahoma’s first snowfall on November 16, I think it’s safe to say that winter is finally here! We know that along with Christmas music, magical snow and peppermint-scented candles, winter also brings freezing cold temperatures. If you are like me, you may not be fond of the ice-cold wind chill of 10 degrees. If you often find yourself shivering outside or having a hard time staying warm, look no further! Here are five ways to keep yourself nice and snug this winter! Layer up: it’s amazing what a long sleeve shirt, a button up and a scarf can do! For girls, if you’re tired of always wearing heavy, itchy sweaters, you could never go wrong with a t-shirt and a cardigan. For guys, throw over a nice-sweater jacket over any old shirt, and you’re good to go! Don’t be afraid to play around with colors and patterns. A good rule of thumb is to use a solid color to compliment a pattern and vise versa. Complete with a winter coat or jacket, and you’ll be able to brave the cold in a breeze (no pun intended). 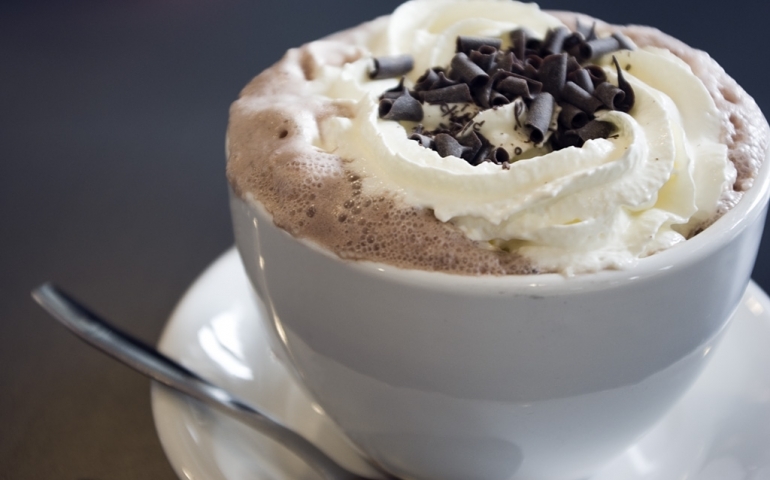 Make hot chocolate: there is nothing I love more than a piping hot mug of creamy hot chocolate in my hands. Why not try out this recipe to go with your peanut-butter cookies? With a hint of irish cream and toasted marshmallows, this recipe is reminiscent of campfire smores! Try it out, and see for yourself. Even in the blustering cold winds of Oklahoma, there are fun ways to stay warm! Remember to bundle up, enjoy good company and have a safe winter!